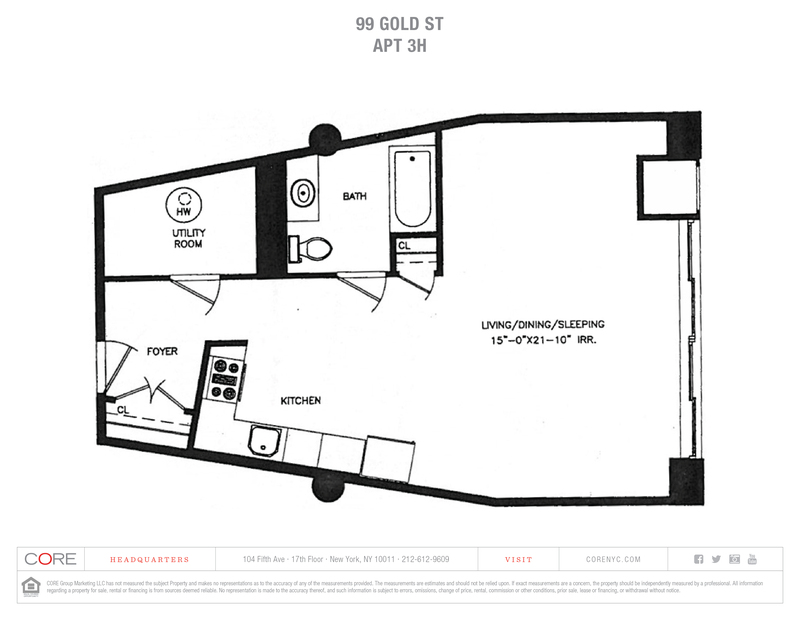 Apartment 4H at Gold Street Lofts is a spacious, south facing 672-square-foot alcove loft. This bright home boasts modern finishes alongside striking original details, an open plan living/dining room, 12-foot high ceiling, exposed structural columns and beams, hardwood flooring throughout and floor-to-ceiling windows. The kitchen features custom glass cabinetry, Bosch stainless steel appliances, marble countertop, and a Grohe faucet. The spacious marble bath features Timur tile, Kohler fixtures, and a deep soaking tub. Located on the corner of Gold and Front Streets, this former loft building offers easy access to the restaurants, shops, and galleries of DUMBO, and the serene retreat and cobblestone streets of Vinegar Hill. Nearby Brooklyn Bridge Park allows for an array of outdoor activities. The close proximity to two subway lines and the Brooklyn and Manhattan Bridges provides convenient commuting options. 99 Gold Street Lofts is a pet-friendly and smoke-free building. 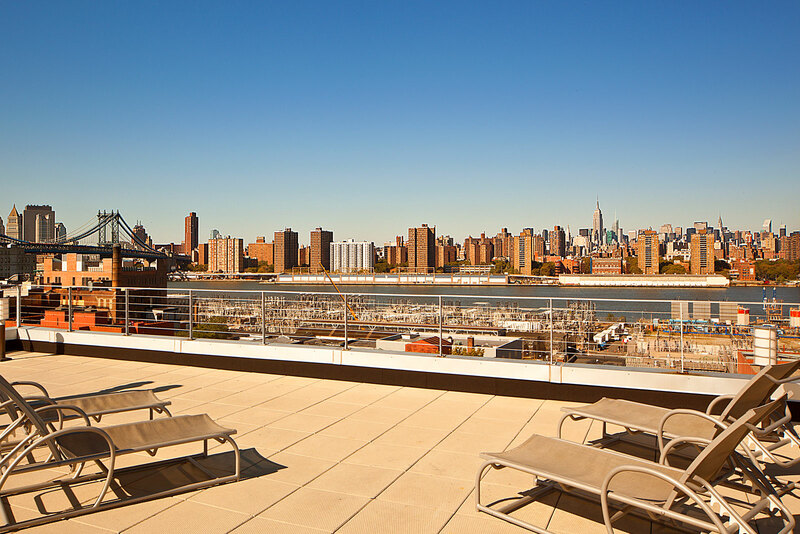 Amenities include a 24-hour attended lobby, live-in super, on-site parking, private storage units, bicycle storage, laundry room, fitness center with a Peloton bike and an indoor basketball court, and a fully furnished rooftop with incredible open views.